Ever wonder what happens after “A Christmas Carol” ends? Ten years later, Scrooge is gone and Tiny Tim is about to turn 21. Scrooge, like Marley before him, comes back to help Tim, no longer Tiny, make choices about love and career. 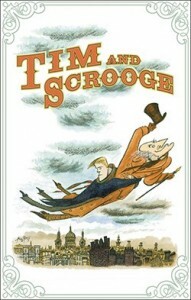 Written in the style of Dickens with original, soaring music, by the team of Neil Berg and Nick Meglin (former editor of Mad Magazine), “Tim and Scrooge” is sure to become a new Holiday classic for young and old alike. Dinner & Show range between $59.00 to $84.00 PLUS TAX depending on the performance chosen. Beverage Service & Gratuities are not included in the ticket price. SHOW ONLY tickets are $50.00 plus tax.